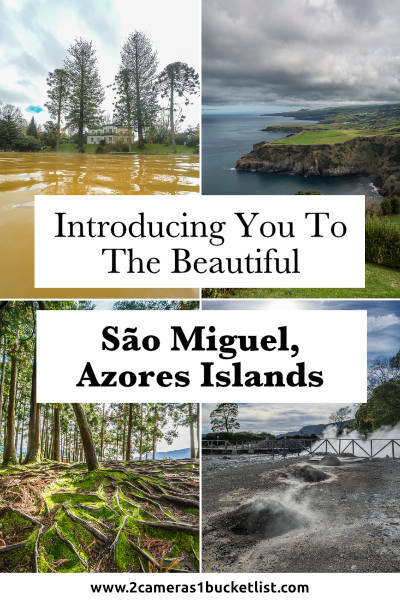 Have you ever heard of São Miguel or even the Azores Islands? Don’t worry, never had I until a few months ago. I was aimlessly scrolling through facebook and stumbled upon a post about wellness retreats in Europe that won’t break the bank. Immediately I clicked on the link thinking, “oh that sounds exactly like something I need to know about”. 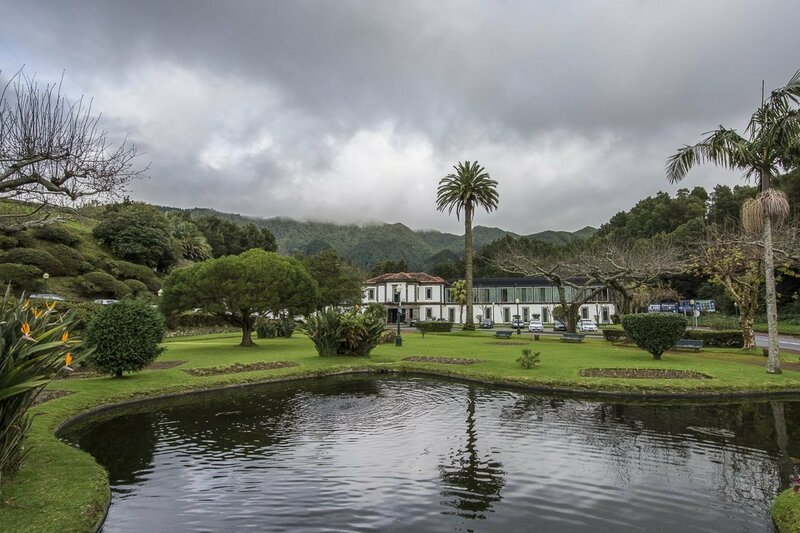 As it turns out Furnas Boutique Hotel on São Miguel, Azores was mentioned. It didn’t take much convincing to persuade David to make this our Christmas destination. 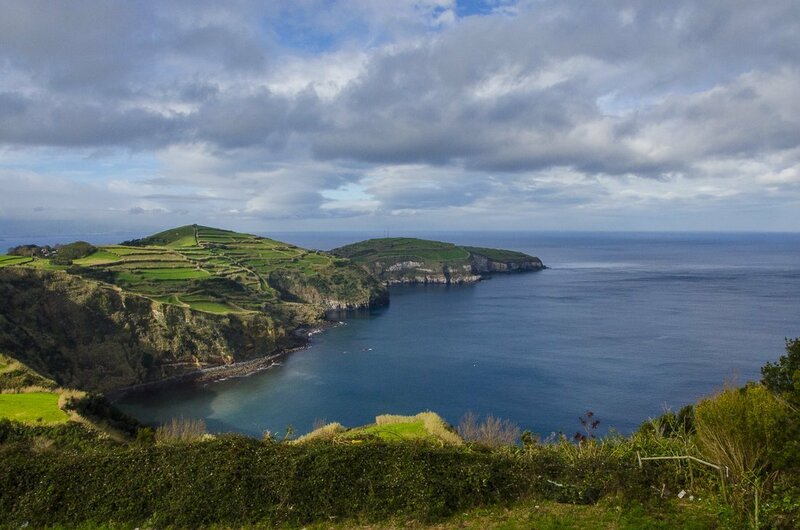 So where and what are the Azores Islands? 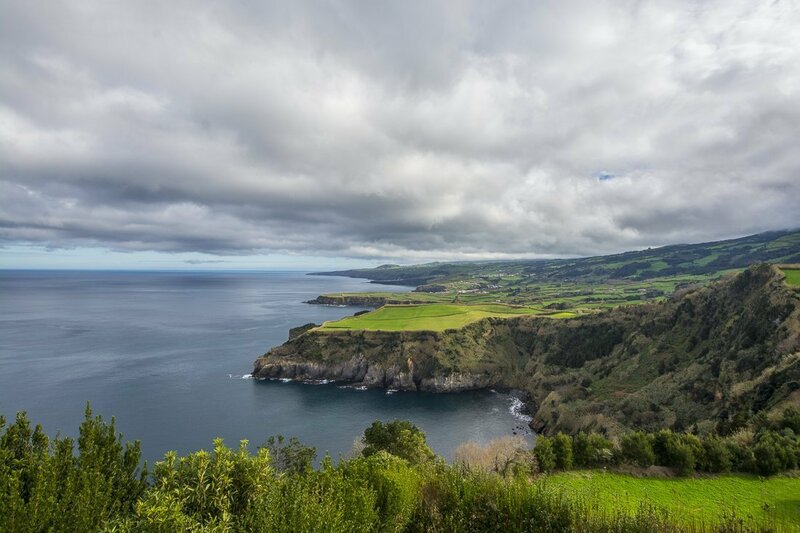 The Azores Islands are an autonomous part of Portugal and form an archipelago consisting of nine islands, São Miguel being the largest. They sit in the middle of the Atlantic Ocean and are closer to Canada and some US cities than some western European cities in terms of flight time. There are direct flights from Boston and if coming from Europe you would normally fly from mainland Portugal, a two hour flight from Lisbon. 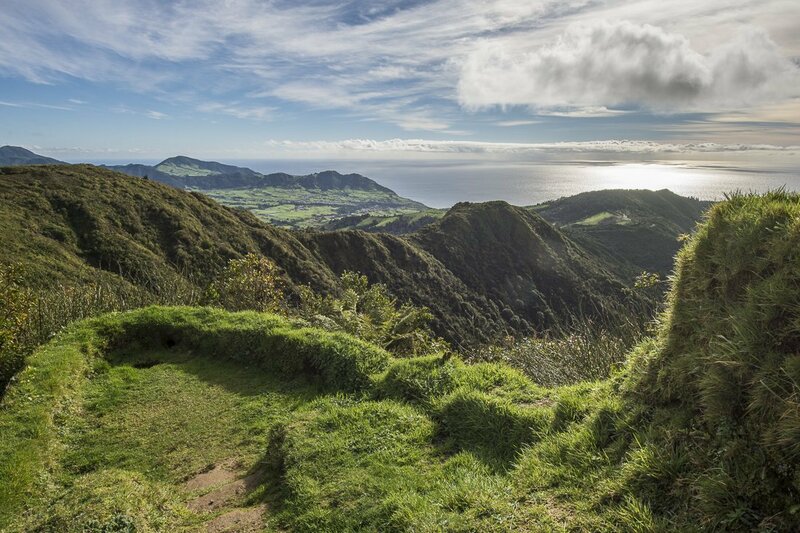 The Azores Islands are volcanic and possess a diverse selection of scenery and provide a wide variety of outdoor activities. 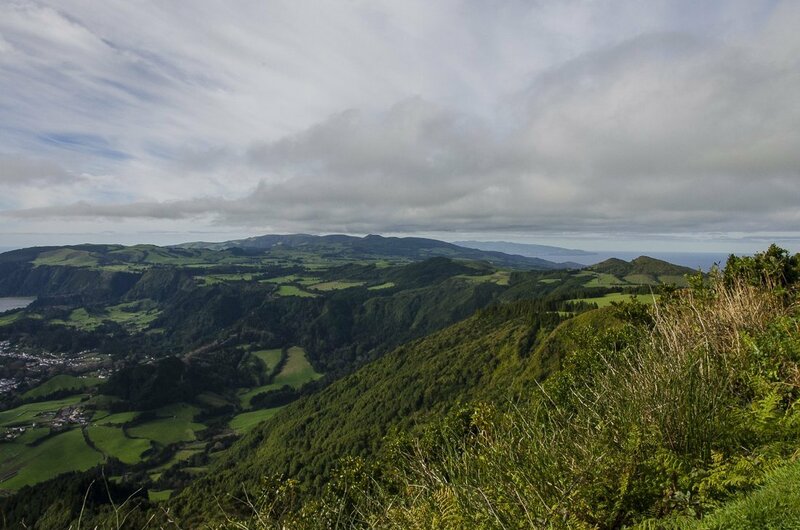 We spent five nights on São Miguel, which in itself is made up of varied landscapes. São Miguel is beautiful. 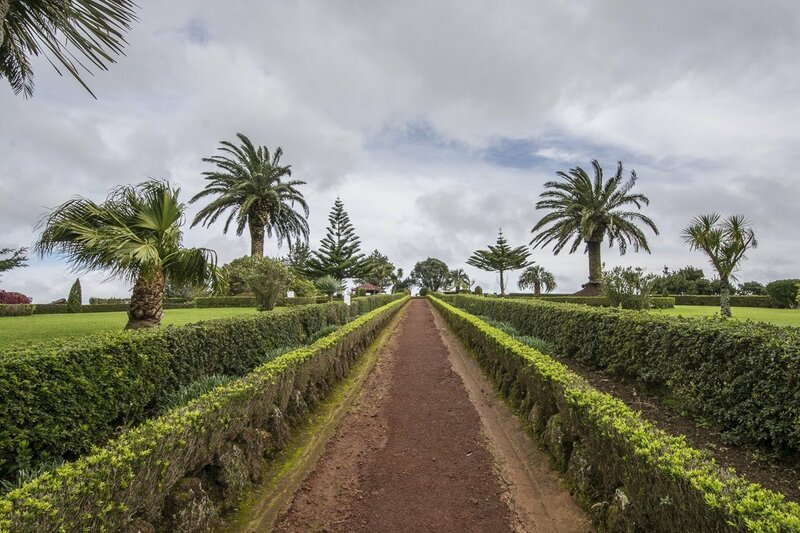 The whole island looks like it is permanently manicured by hundreds of gardeners every day. 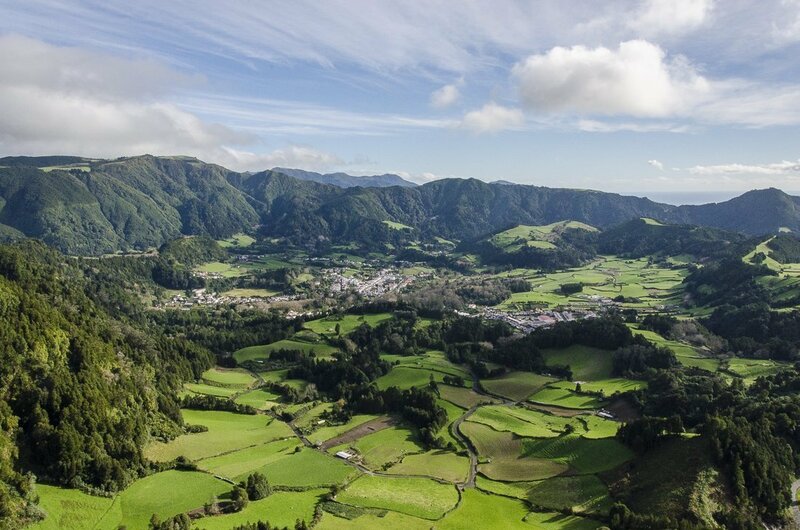 São Miguel is lush, green, rugged, awe-inspring and to top it off, the people are lovely. We were continuously mind-blown by the beauty of this small island that you can drive the circumference in about three hours. So many shades of green. It’s as if someone got a bit crazy with the green saturation level, it’s so bright and vibrant. I now truly know what the colour “grass green” really looks like. I should point out that São Miguel is so green because it rains, a lot, according to locals. Being Christmas time it was winter so we weren’t expecting phenomenal weather conditions. 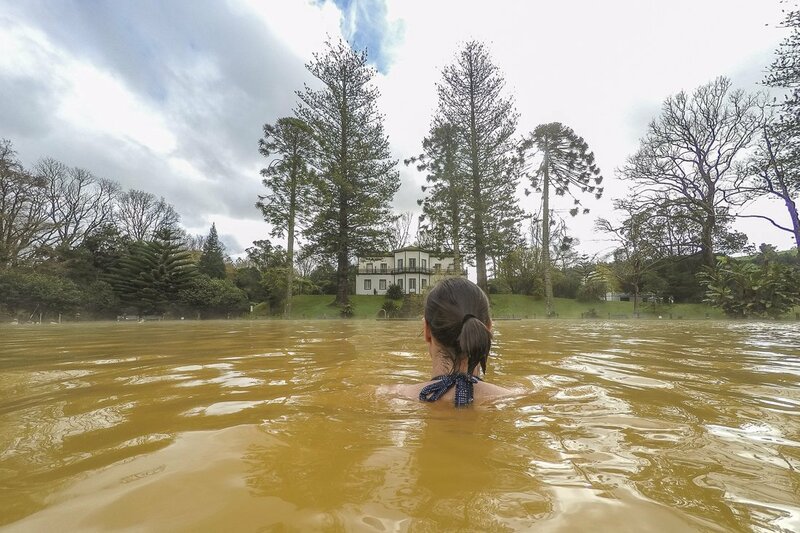 Luckily we stayed at the wonderful Furnas Boutique Hotel that has extensive spa facilities which allows you to enjoy the benefits of the island without leaving the hotel. More on that in a moment. On some days you could experience multiple seasons, even in the summer. Despite the weather we managed to find a balance between doing a little sight seeing and experiencing all that the hotel had to offer in terms of relaxation. Afterall, this was one of the main reasons we were there. One very useful recommendation given to us was spotazores. This is a website that has webcams all over the island. This is important because the weather may be dreary in one part but beautiful and sunny in another part. The perfect tool to help you organise your day. Rent a car. No ifs or buts. Public transport does not run regularly and cars are cheap to hire. We rented a car from a worldwide known company for €70 for 5 days. Bargain! Despite being mountainous it doesn’t take long to get from one place to another. You have to experience as much of the dramatic landscape as possible in your time there. 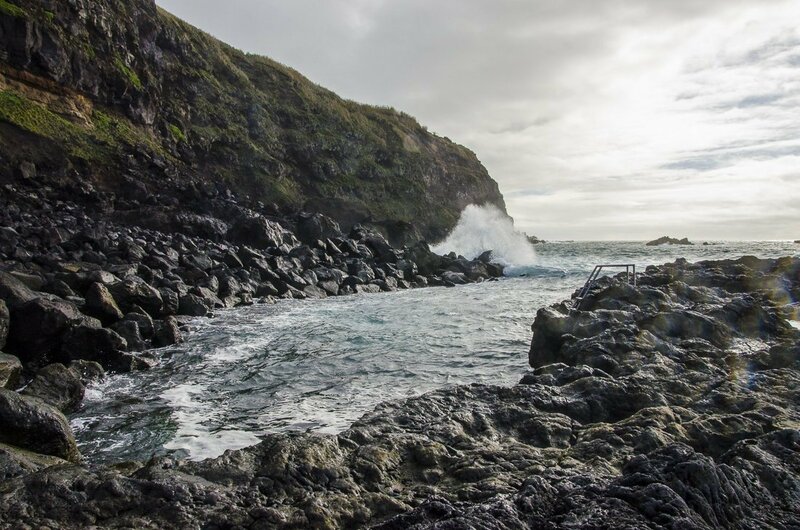 There are many hiking trails around the island but you will still need a car to get there, unless of course time is not an issue. All of the main tourist sites and viewpoints are well signposted which makes it easy to get around. Plus, it’s an island so it is hard to get super lost. One thing we noticed with our rental car was that the GPS maps had not been updated so just be aware of that. We often used Google Maps instead. There is an abundance of calderas, volcanic craters formed as the result of a large eruption, that now contain glistening, mirror-like lakes. They are surrounded by lush, dense, mountainous forests and rolling green pastures. The combination makes for some spectacular scenery. Luckily most lakes have miradouros, lookouts, that allow you to obtain breath-taking views from above to allow you to truly appreciate the beauty of each lake and its surroundings. Since we were staying in Furnas, which is in the eastern end of the island, we headed for Lagoa das Furnas (Furnas Lake). Miradouro do Pico do Ferro provided stunning views of the lake and the hot springs on the shoreline. A short drive away is Salto do Cavalo, providing spectacular 360° views of both sides of the island. The vibrant green of the rolling fields, the sparkling Atlantic Ocean and the dark green tropical rainforest-like mountains are breath-taking. After being mind-blown by these views we decided to go down to the lake to obtain another view of this natural wonder. It costs €2 to enter the caldeiras, hot springs. 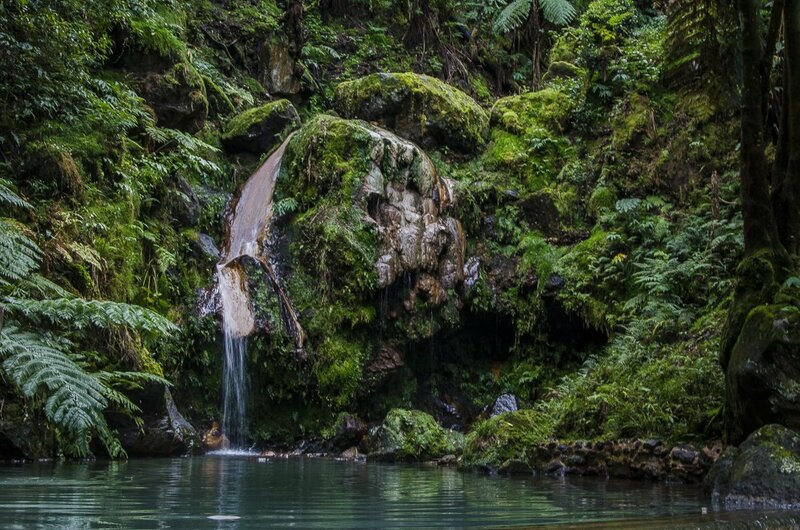 Given that São Miguel is a dormant volcano, it is no surprise that there are hot springs throughout the island. Most of them located in this part of the island. 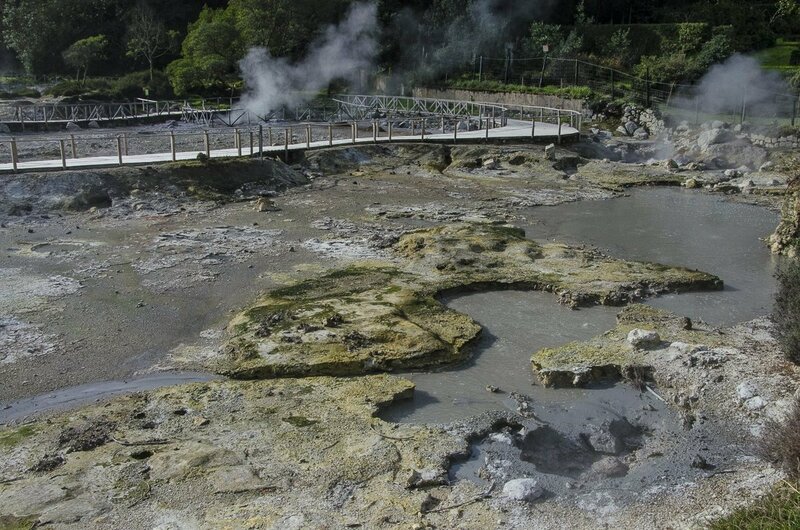 Despite being a little bit stinky, it well is well worth taking the time to see the bubbling water and mud, and mini geysers up close and personal. Mother nature really is a wonderful thing. 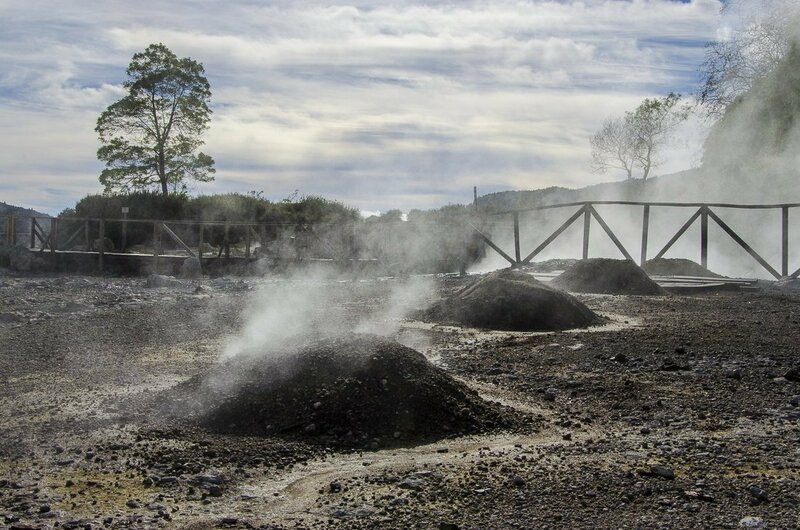 What is also fascinating is that some of the local restaurants use this natural phenomenon to cook a stew called cozido. 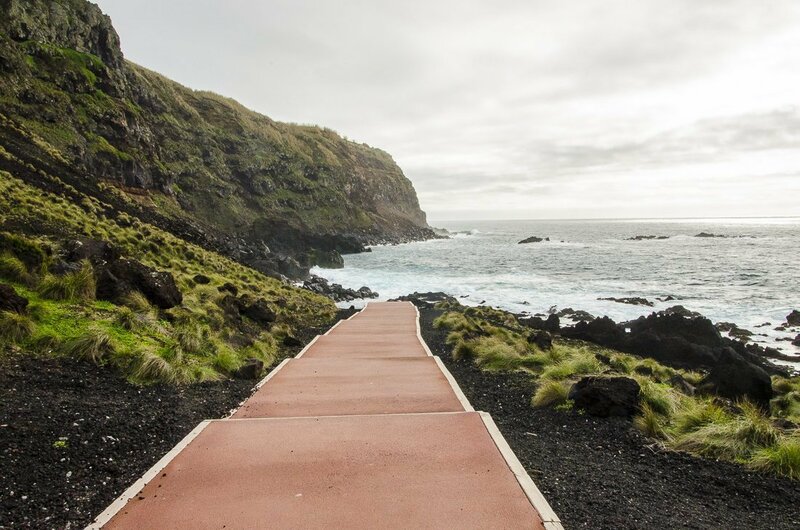 This is a perfect example of how using the surrounding environment in an ecological way is making the Azores Islands one of the most environmentally friendly places to visit. 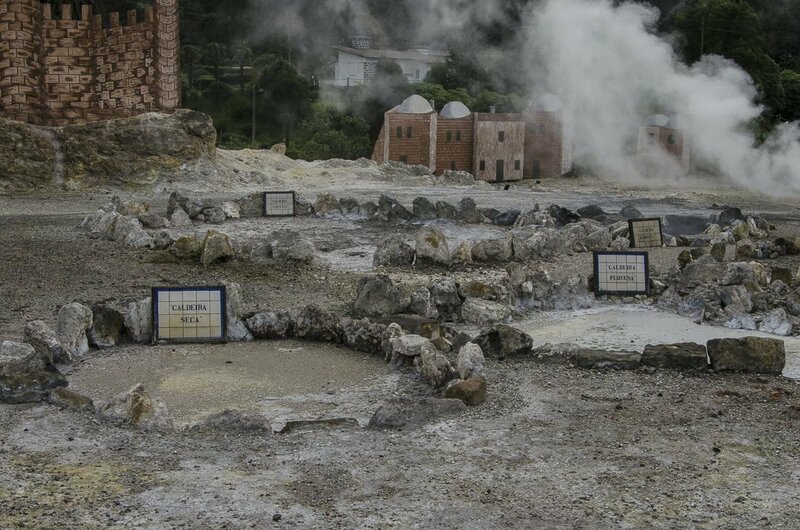 Furnas Boutique Hotel is practically next door to a mini park of hot springs. They have skilfully used this raw resource to create a wellness area that will have you relaxed in no time. They have created naturally heated pools of different temperatures, including one heated outside pool, as well as a sauna and steam room. 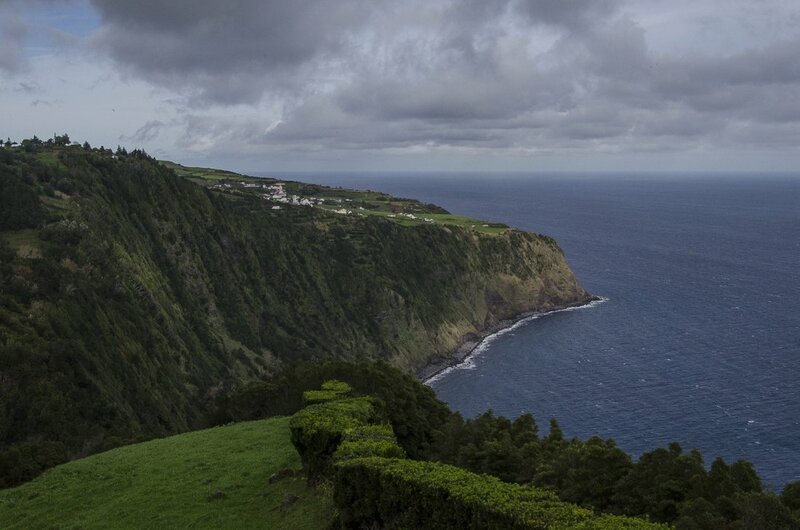 Additionally, the hotel also offers an extensive list of spa treatments that use natural products from the Azores. 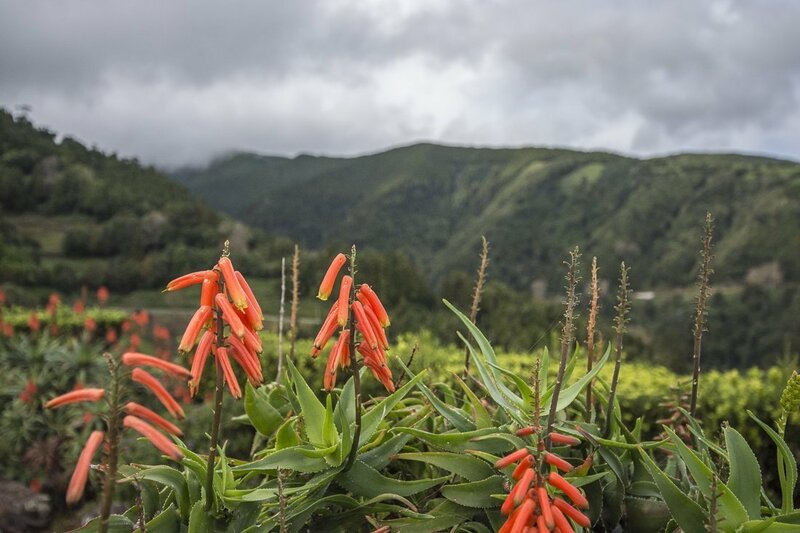 Pineapple is grown abundantly throughout São Miguel. I was lucky enough to experience a pineapple and brown sugar scrub followed by a pineapple and shea butter oil massage, thanks to my wonderful husband. The scrub was very sticky and felt like I had rolled in a jar of jam but once rinsed off, my skin felt softer and smoother than ever. I should point out right now that all opinions are my own. We were not paid to stay at the hotel or given any benefits. It is just a truly wonderful place to stay, whose architecture also honours its natural environment by blending in with its surroundings. If you don’t want to fork out the money to stay at the hotel you can always visit the spa for a day, which I would highly recommend. 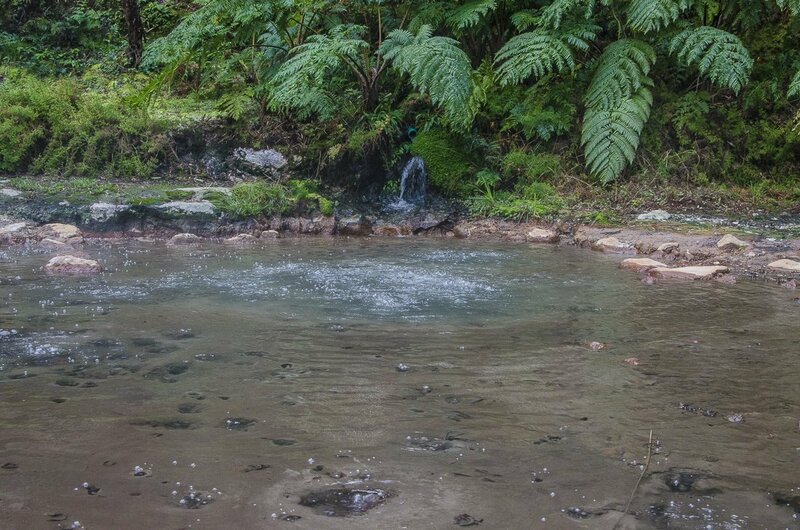 So they call all hot springs caldeiras but some of them are far too hot to even touch let alone swim in. Fortunately, some are the perfect temperature to sit back and relax and forget about reality for a little while. 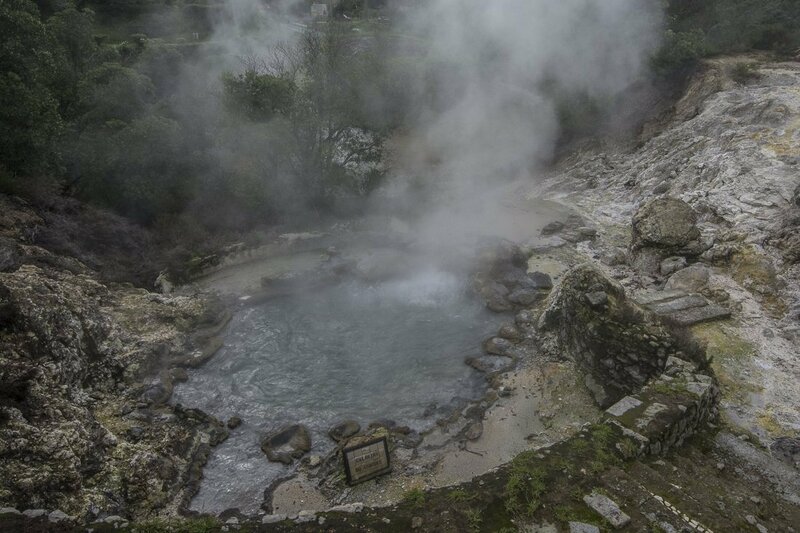 Parque Terra Nostra is also situated in Furnas and is one such heavenly place. It costs €8 to use the geothermal pools. There are change rooms and basic showering facilities included. Despite the murky orange pool not looking particularly inviting, believe me, it is totally worth it. It is orange due to the high iron content so don’t wear your newest light coloured swimsuit or will not look so new for long. If you want to eat at one of the fancier restaurants in town (which I would recommend), Hotel Terra Nostra, you can eat lunch there and have free entry to the park afterwards. 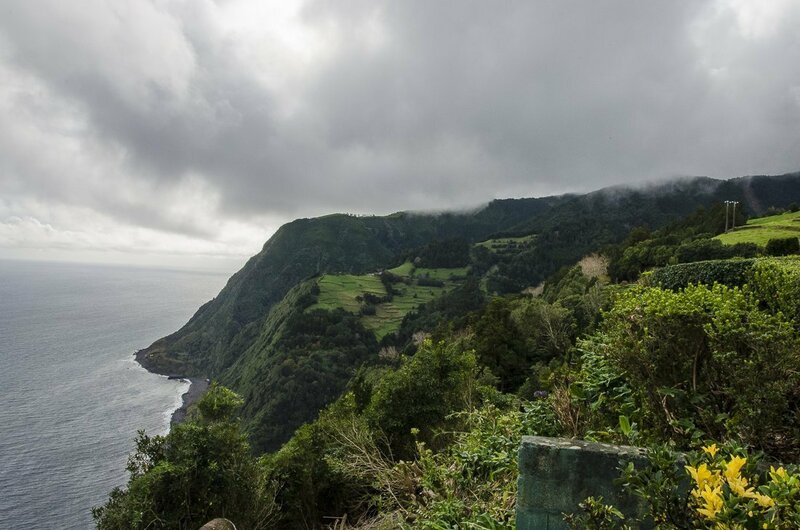 Caldeira Velha is situated in the middle of the island, on the way to Lagoa do Fogo. This lush, tropical park feels like you have stepped back to prehistoric times. It costs €3 to walk around and €8 to use the pools. 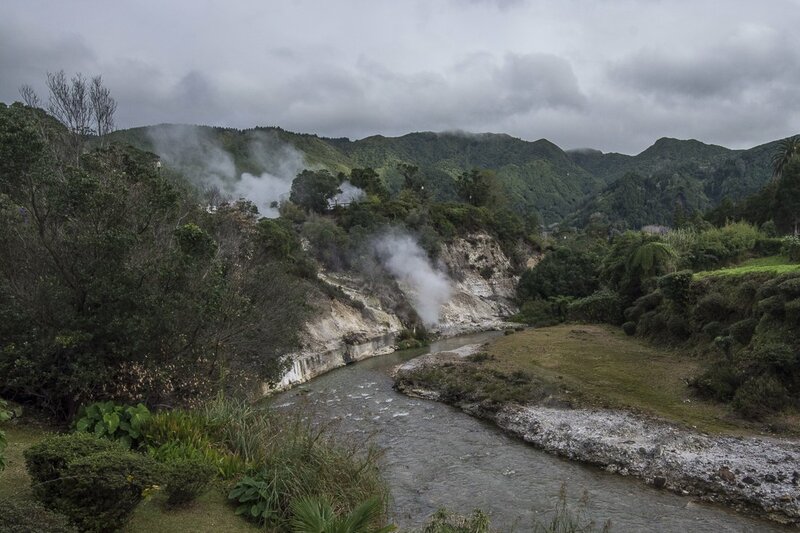 Along with the bubbling, steaming water that is too hot to touch, the geothermal waters of the naturally heated pools will soothe any aches and pains. 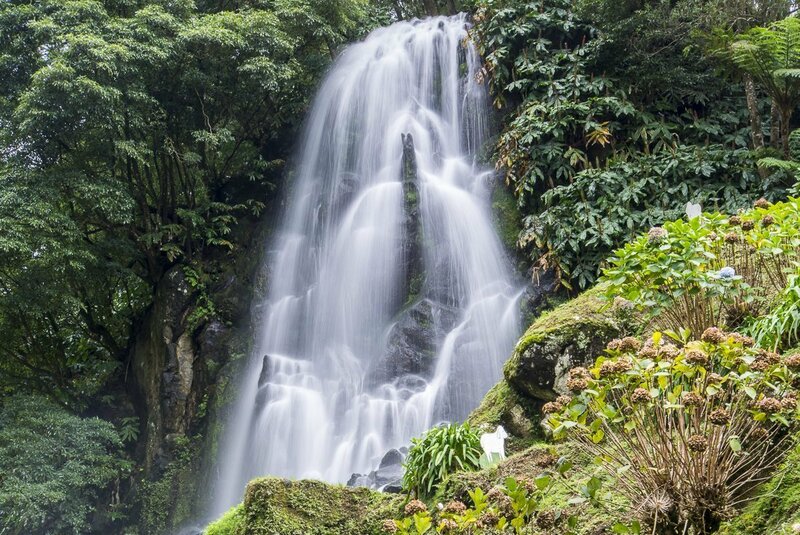 Plus there is an Instagram-worthy waterfall. Ferraria looks like Iceland. There is one small section of the ocean water that is naturally heated. However, it is not advisable to take a dip if the sea is rough, like the day we were there. 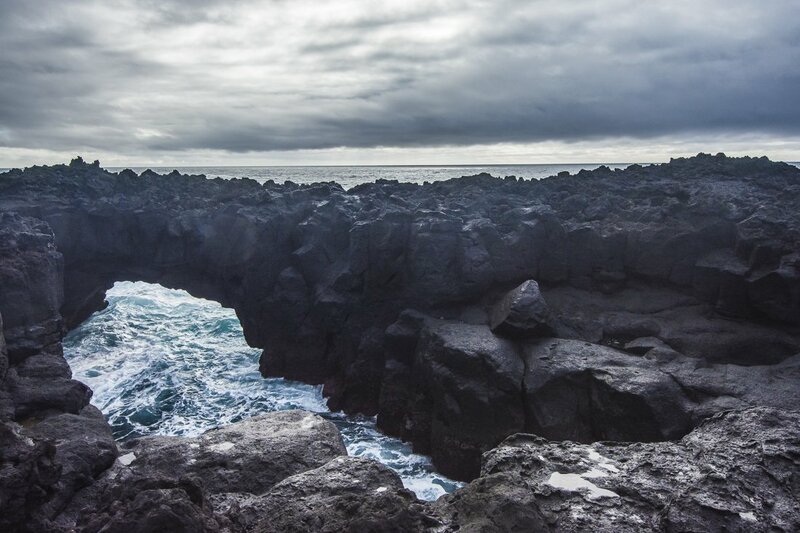 However, go there for the views and volcanic landscapes, they will be enough to impress. Given that you can unexpectedly come across a caldeira as you road trip around the island, especially if you accidentally get lost, I would advise you to take your swimsuit, a towel and a pair of flip flops or water shoes on every adventure. All of the public pools we visited had change rooms but not necessarily lockers. However, São Miguel is a very safe place so the lack of lockers is not such a big deal. Another tip for if you go in winter. Bring 2 pairs of swimmers as nothing dries inside quickly. Sete Cidades is the pièce de résistance of São Miguel. 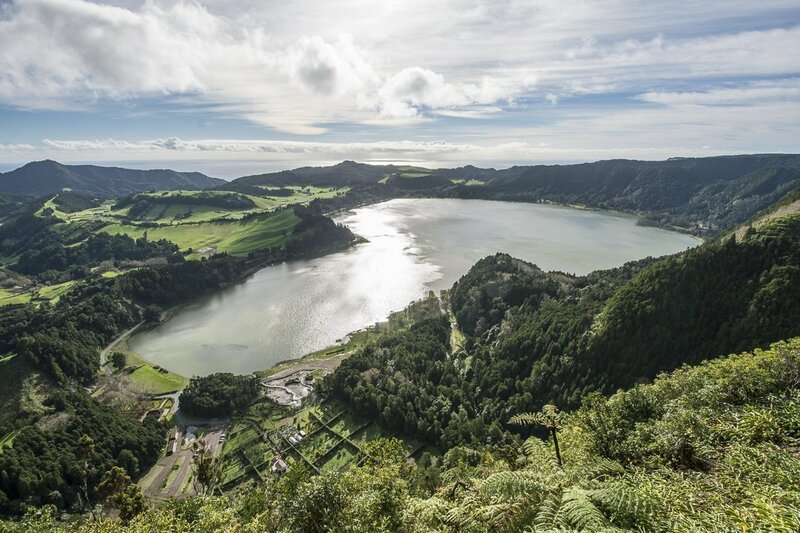 You will find pictures of what looks like two different coloured lakes but is actually one lake, on any Pinterest or Instagram post about São Miguel. You need to be lucky in terms of the weather as the slightest bit of fog will spoil your views. Unfortunately, winter is not the best time to try your luck. However, as you can see below, the people from portugal.com managed to capture beautifully this stunning lake. As we approached the turnoff for Lagoa do Fogo the thick fog engulfed us. The stark sycamore trees stood either side of the road and their spindly, bare branches looked like entwined fingers above us. The spooky scene was something out of a horror movie. In our hearts we knew it was a fruitless effort to attempt to view the lake yet we still turned off the main road and climbed the steep ascent, winding our way higher and higher until we could barely see 20 metres in front of us due to the thick suffocating fog. To add to the challenge of twisting and turning along the hairpin bends, the rain came down relentlessly. Apparently Lagoa do Fogo is even more difficult to see sans fog due to the high altitude. 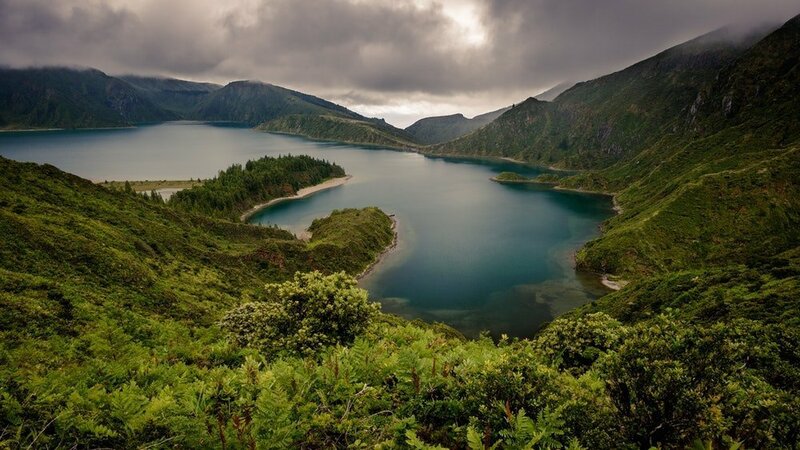 If mother nature is on your side and you are fortunate to view the natural beauty that is Lagoa do Fogo. When travelling along the north coast we were intending to visit Porto Formoso but as is typical with us, we missed the turn off so we ended up in Praia dos Moinhos. We parked the car and wandered through the tiny streets, passing colourfully painted houses. 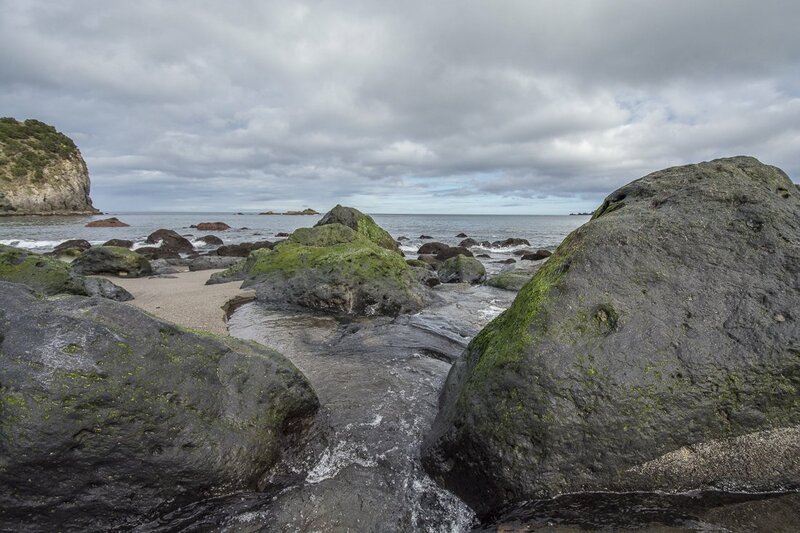 We found upon our arrival a small cove containing a cute sandy beach dotted with moss-covered rocks. 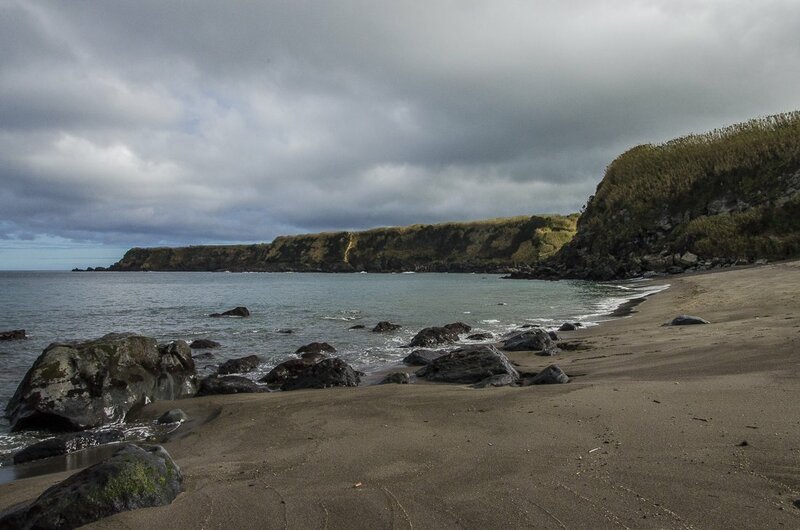 There was something appealing about the wildness of this isolated beach. Next stop was Miradouro de Santa Iria. This was probably my favourite viewpoint that we visited. It provides 180° view along the north coast. The vivid green manicured fields atop the cliffs and the clear turquoise waters below are breathtaking. 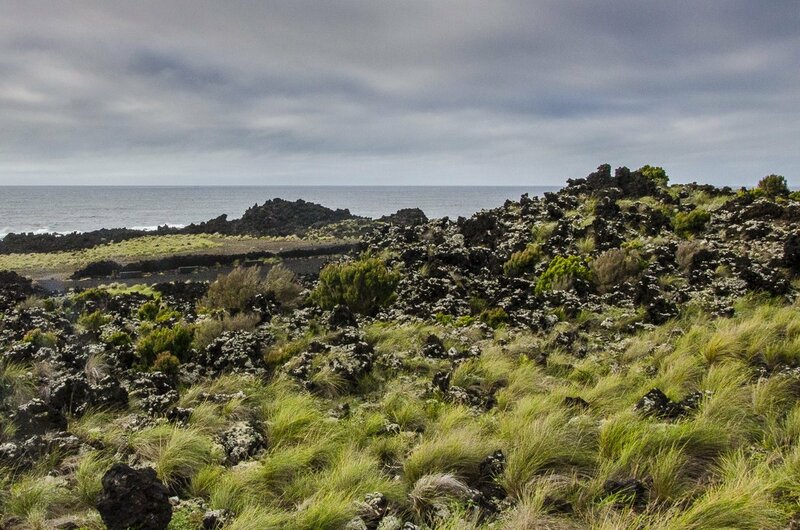 Parque da Ribeira dos Caldeirões provides a peaceful stroll through prehistoric-like landscapes. 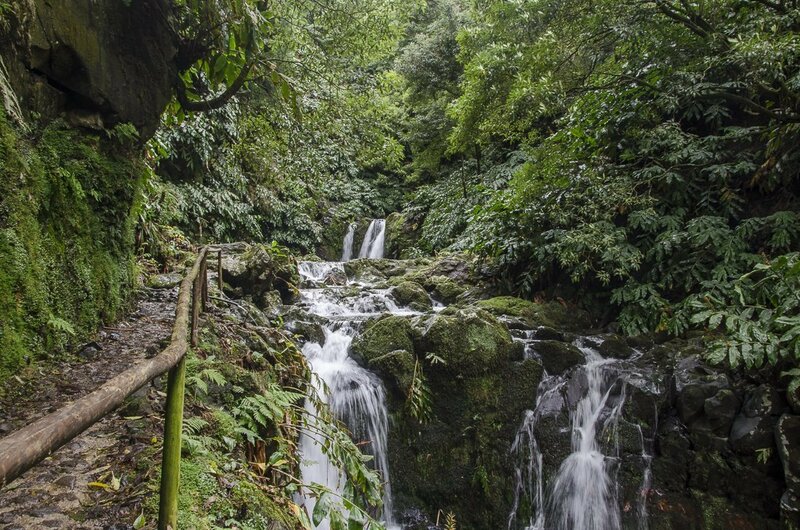 The lush overgrown vegetation along with the waterfalls make it feel like you are walking through a rainforest. This small park should definitely not be missed. The eastern side of the island probably has the least number of attractions and activities for a tourist. However, if you still have time I would recommend you take the time to visit the dramatic coastline with its sheer cliffs and beautifully manicured gardens at various lookout points. Miradouro da Ponta da Madrugada and Miradouro da Ponta do Sossego are two of the best for views up and down the coastline. This side of the island feels a little rough and wild or maybe that was just enhanced by the cold winds we encountered the day we visited. The gardens at the lookouts really are quite beautiful and the perfect place for a lunch break. 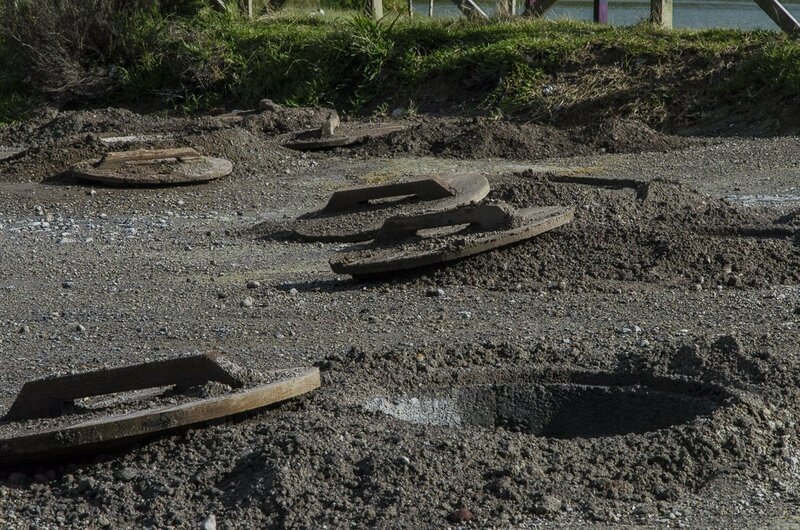 They are fully equipped with barbecues, tables and chairs and toilet facilities. 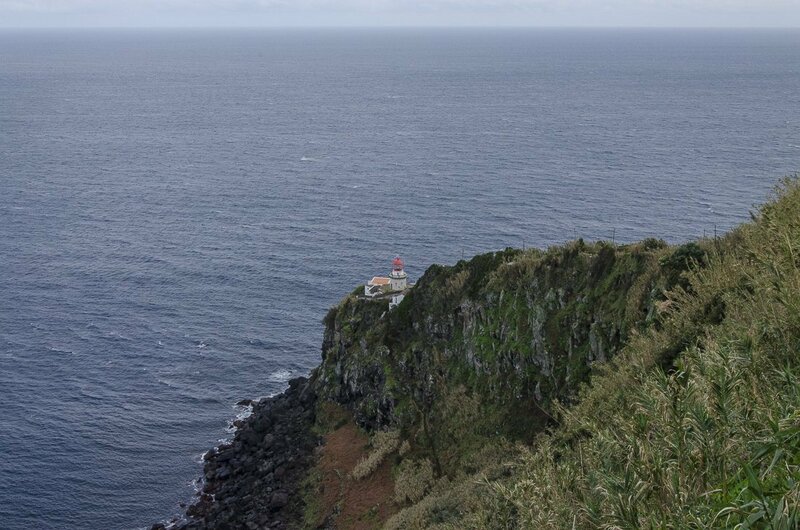 Farol do Arnel is a lighthouse on the most north-easterly point of São Miguel. 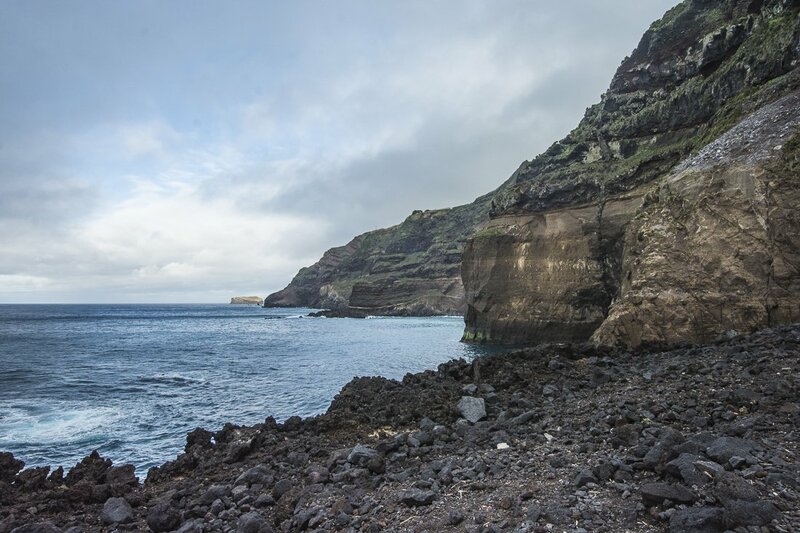 It is set amongst a dramatic backdrop of vertical craggy cliffs, covered with the hardiest of vegetation that can withstand the Atlantic winds. The road down to the lighthouse is sinuous and narrow. You must leave your car in the carpark and walk the remainder of the way. If you want to avoid the busloads of tourists and are just interested in snapping a couple of pictures of the 140-year-old lighthouse, drive a little further up the road to a small area where you can pull over and have uninterrupted views. 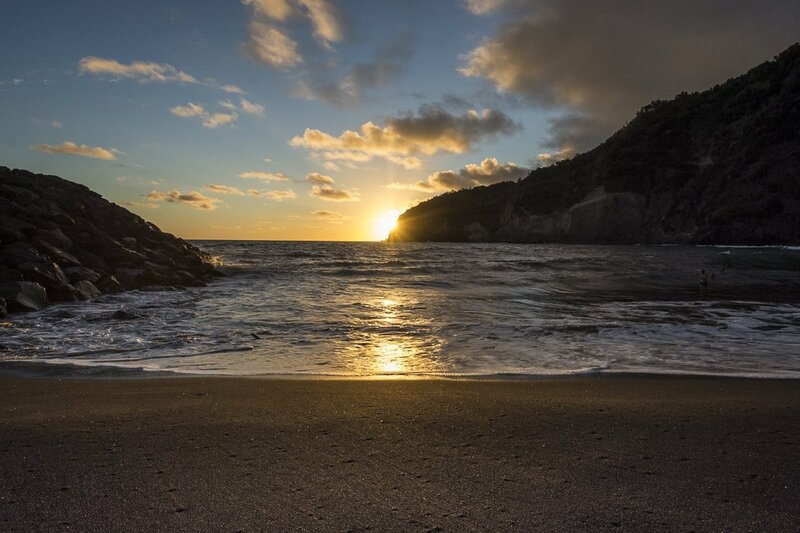 Praia do Fogo at Ribeira Quente is more in the south-east direction but is definitely worth a quick stop to watch the sunset. 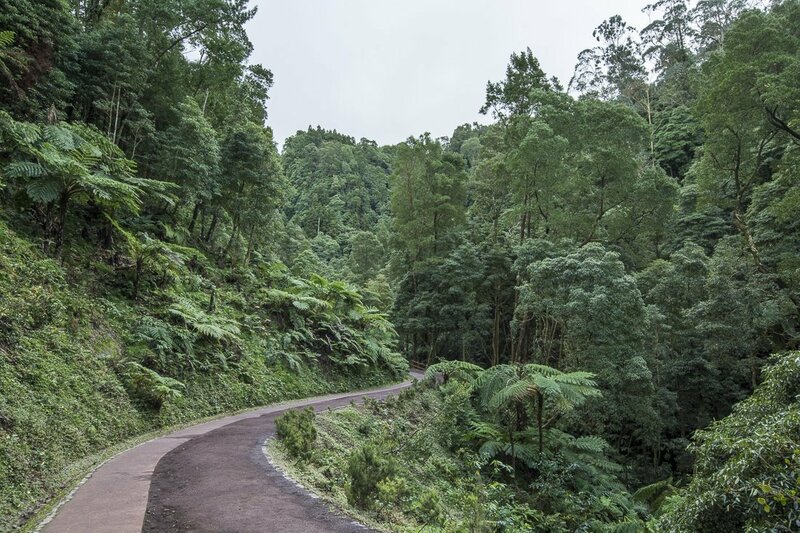 It is also a short drive from Furnas. This small cove is encircled by looming rocky cliffs. As the sun set, we sat with locals watching the sky turn exquisite shades of yellow and orange. We also were entertained by some crazy, albeit brave, locals who went swimming in the ocean during winter. As the fog encroached upon us from the nearby mountains we enjoyed our last dip in the naturally heated outside pool. There is something very refreshing about having your body warmed to the core while your head is feeling the coolness of the wind whipping around you. 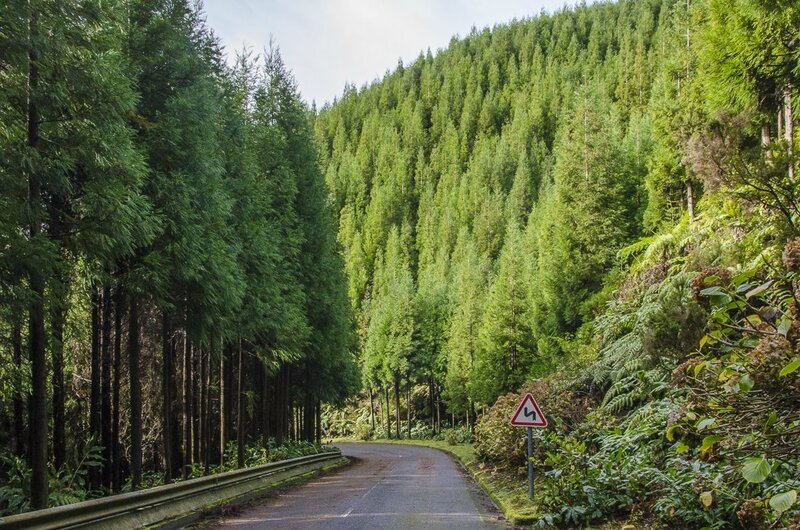 We cannot wait to go back to São Miguel when the weather will hopefully allow us to see more of its majestic natural beauty. 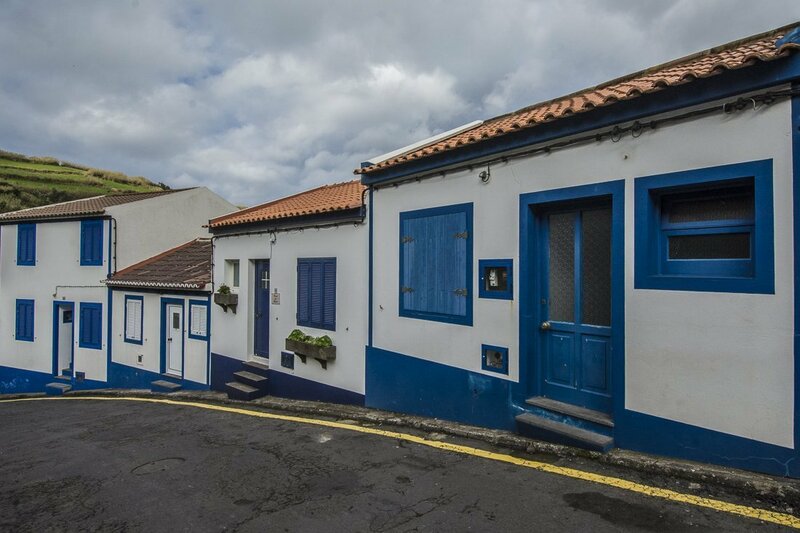 Now that we have had a taste of the Azores we also want to visit some of the other islands. We hear that each island is different in its own special way. I personally would love to go back during whale and dolphin watching season. It is an experience that I am yet to tick off my bucket list but hope to do so soon. 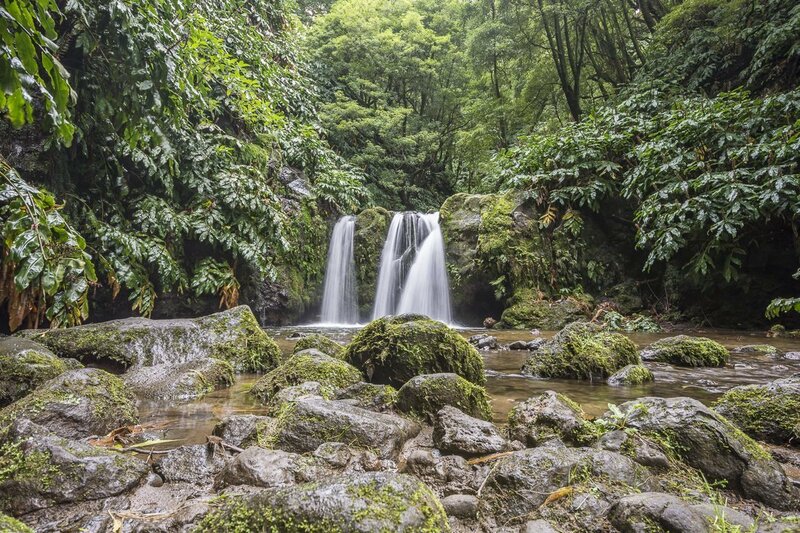 Have you visited São Miguel or any of the other Azores Islands? Do you have any tips for our next visit? Let us know what you thought in the comments below. 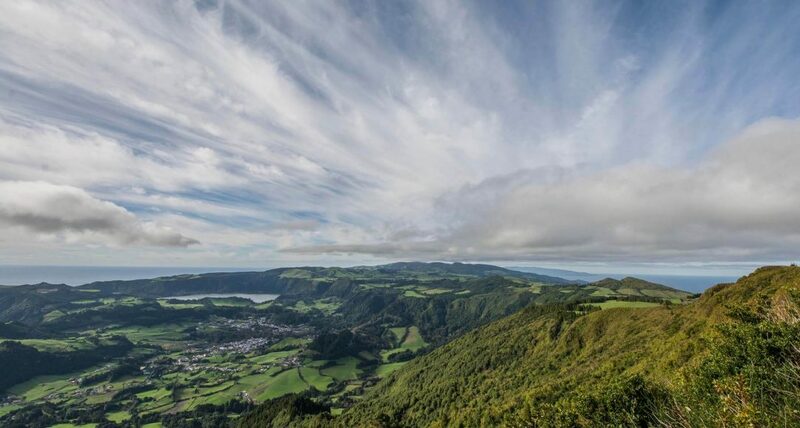 6 Comments on “Introducing You To The Beautiful São Miguel, Azores Islands”. Join the Conversation Here! 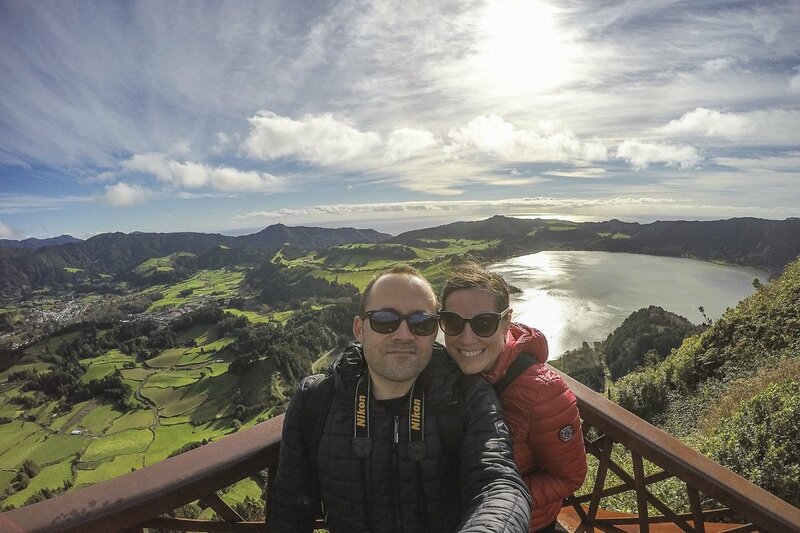 Great article, and please allow me to mention that we have been helping people travel to the Azores since 1996, and we get all kinds of positive feedback on these marvelous islands. Hi Catarina. 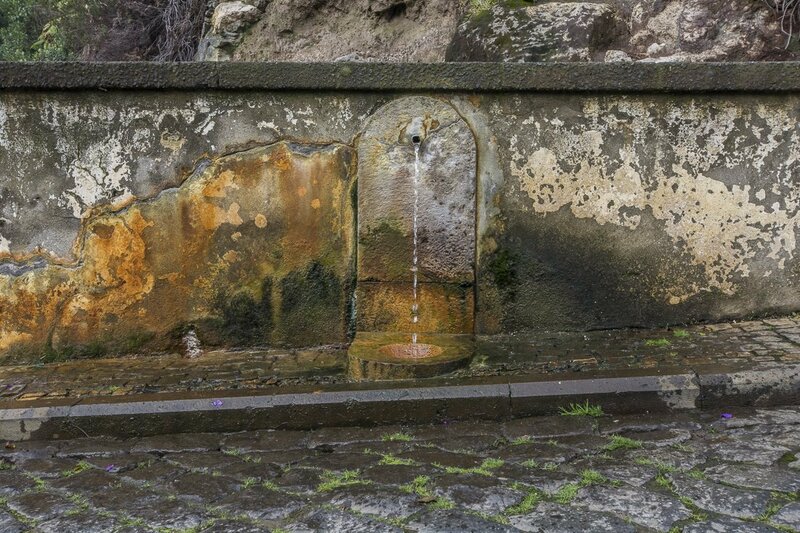 Thank you so much, we hope we corectly captured the essence of Sao Miguel in our post. There are a few places in the world we would visit more than once. Iceland is one of them, and now the Azores islands are in this group too. We can’t wait to come back! OMG. What an awesome scenery. This is so exotic and the views are so breathtaking. I wish I could visit the place one day too.